Every time the weather starts to warm up, Utah surprises me the next day with a snow storm. You gotta love spring in Utah. The warmer it gets, the more I crave the beach, which reminds me of Hawaii. There is nothing better than sitting on the beach in Hawaii, soaking up some sun rays, and eating a fresh, juicy pineapple. I decided I would bring some of the island’s to my home with these amazing Hawaiian Bowls. They are simple to make, healthy, and tastes amazing. Now all I need is a Pineapple Dole Whip and some sand, and it will really feel like Hawaii. I love all the fresh and delicious ingredients in this recipe. You can use frozen vegetables or pineapple, but I love the taste of the fresh vegetables. 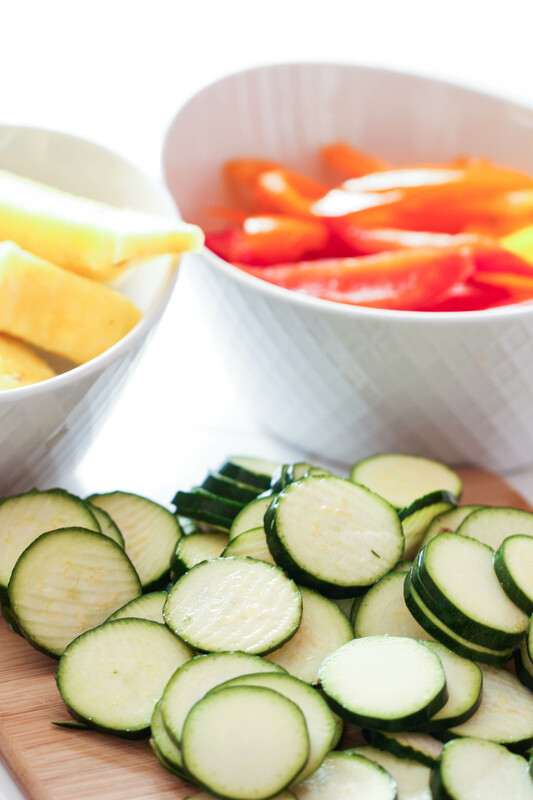 We also have an amazing Vegetable Stir Fry recipe that tastes amazing with the chicken and pineapple. I don’t handle spice very well, so these bell pepper slices are perfect for me. They are sweet, full of flavor and go perfectly with this dish. 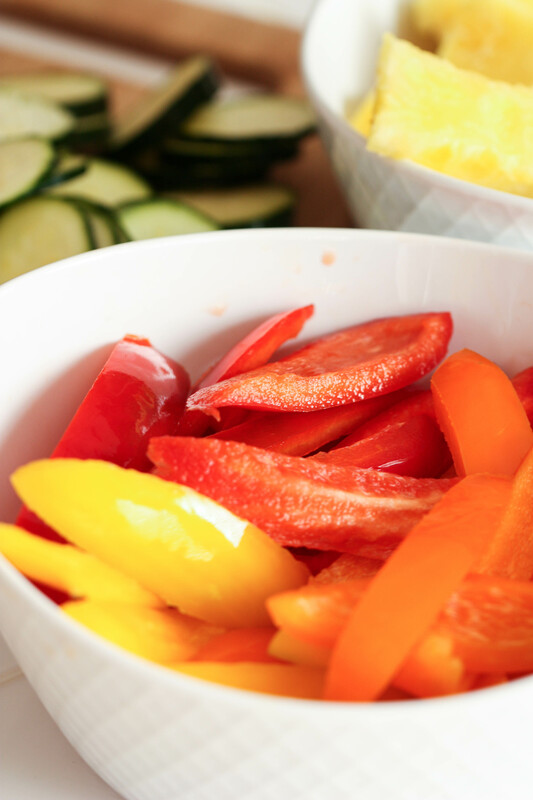 We also love putting these peppers in our favorite Slow Cooker Chicken Fajita Tostadas. Another Island favorite you HAVE to try, is our Huli Huli Chicken! Has all the pineapple flavor, and tastes amazing fresh off the grill. It marinates in the sweetest pineapple marinade that you are going to want to drink! In a gallon bag, combine teriyaki marinade and coconut milk. Add the chicken breasts to the bag and marinade your chicken for 8-24 hours. Saute vegetables in a saucepan over medium-high heat until tender. Meanwhile, place chicken on grill and cook for 2-3 minutes on each side or until cooked through. For the pineapple glaze, combine brown sugar and honey in a small bowl until fully combined. Place the pineapple spears on the grill and brush them with the brown sugar and honey mixture. Rotate pineapple and continue to glaze with the mixture, and grill each side for about 2 minutes. Once the chicken and pineapple are done grilling, remove from the grill. 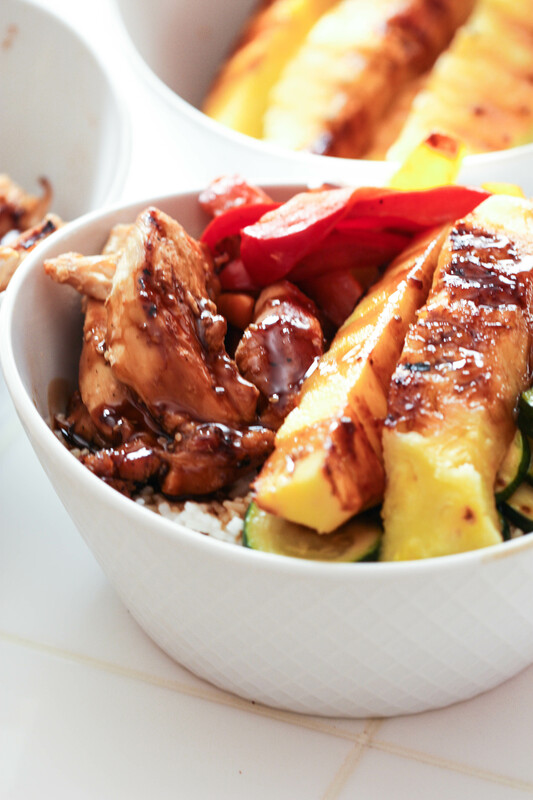 Assemble bowls by filling each bowl with one cup of rice and top with vegetables, chicken, pineapple spears and drizzle on teriyaki sauce, as desired.